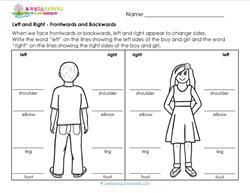 Left and Right is a concept that everyone needs to grasp, but it’s a hard one for little kids. (It may take more than one grade level of practice.) This section provides some great resources that are sure to help reinforce which is which. One handy tip – if you hold your left hand with the four fingers pointing up and the thumb pointing straight out, it makes an “L”! That’s the left hand. The other hand is the right hand. Answer sheets or directions included. 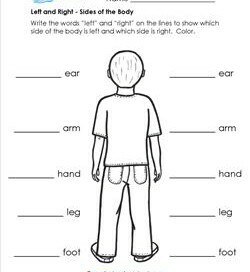 Go to this page to see more positional words worksheets. 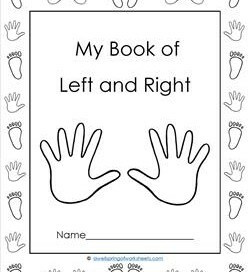 In this book of left and right kids show which hand they write with, put shoes on the correct feet, make hand prints, and more! Instructions at the end. 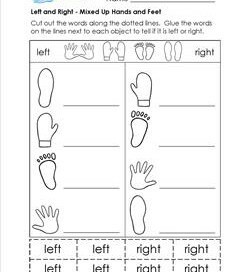 Kids might need some help with step by step directions for this left and right worksheet. 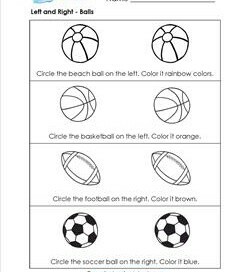 They determine which ball is left or right then color it a certain color. 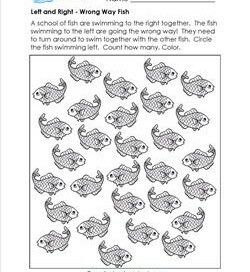 This fruit filled left and right worksheet takes two steps for each set. 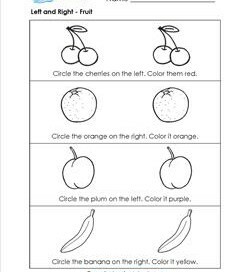 Circle the fruit that is left or right, then color it the color that fruit is (yellow for a banana, etc.). 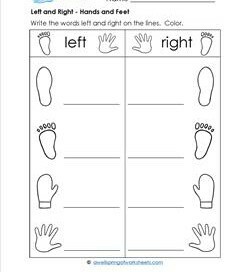 This page gives kids the opportunity to see left and right in terms of their hands and feet. Kids write the words left and right on the lines. Color. 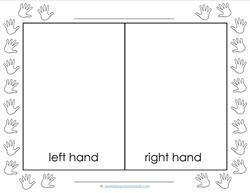 A cut and glue left and right worksheet! Cut out the words and glue them on the lines next to each object to tell if it is left or right. A school of fish are swimming to the right together. The fish swimming to the left are going the wrong way! Circle the fish swimming left. Count how many. Color. Here are six opportunities to tell left from right. 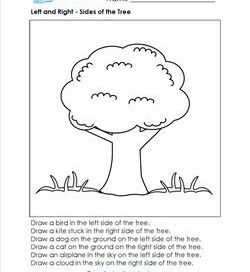 With help, kids draw pictures on the right or left side of the tree. An art lesson with positional words! Kids will need to listen to directions carefully because there are two of some of these items, one on each side. They’ll have to circle the one on the left or right. 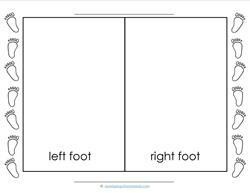 In this left and right worksheet kids associate some parts of their body with left and right while writing the words left and right. Coloring is encouraged! It’s tricky how left and right get turned around when we’re facing someone. 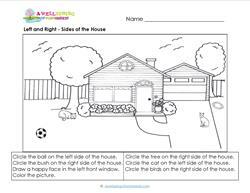 This page shows that & gives kids the chance to practice writing left and right. Show the difference between left and right! Make a set of hand prints – a great memory item for parents. Instructions for tracing, painting, or using glitter. Show the difference between left and right! Make a set of foot prints – a great memory item for parents. Instructions for tracing, painting, or using glitter.